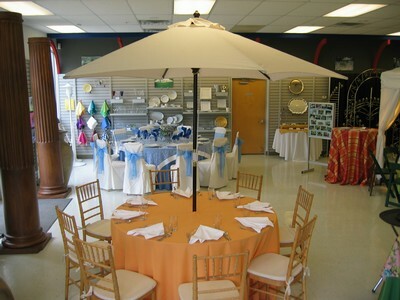 We have tables to fulfill your vision and specialty needs. Linens are available. Serpentine tables can create a curved, S shaped or circular table with an open center. Four serpentine tables together form an 8′ diameter circle with a 3′ diameter hole in the center. 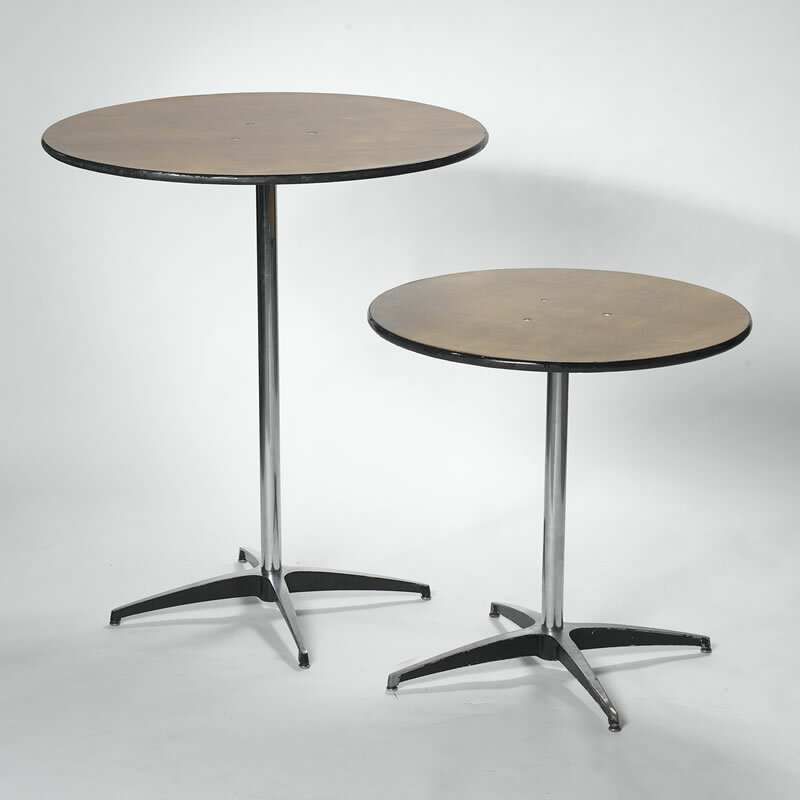 Bar tables can be 30″, 36″ or 42″ tall. All wood tops are made of 3/4″ plywood with rubber edges.